I know that it is not a new thing to try, but I finally got up enough nerve to attempt to make Kale chips. My mom had not heard of them, so it was a perfect experiment for the both of us to try. We were either going to love them or hate them. We followed the instructions she found on the internet. She washed, and then patted the leaves dry, and rubbed them with olive oil, and then sprinkled sea salt on some. We baked them for 20 minutes or so at 275. They were good! We both agreed. We took the remainder of the kale that was not baked and sprinkled parmesan cheese on it and baked them up as well. Good again!! I will be making Kale chips more often, and even trying a few different varieties of spices on them! 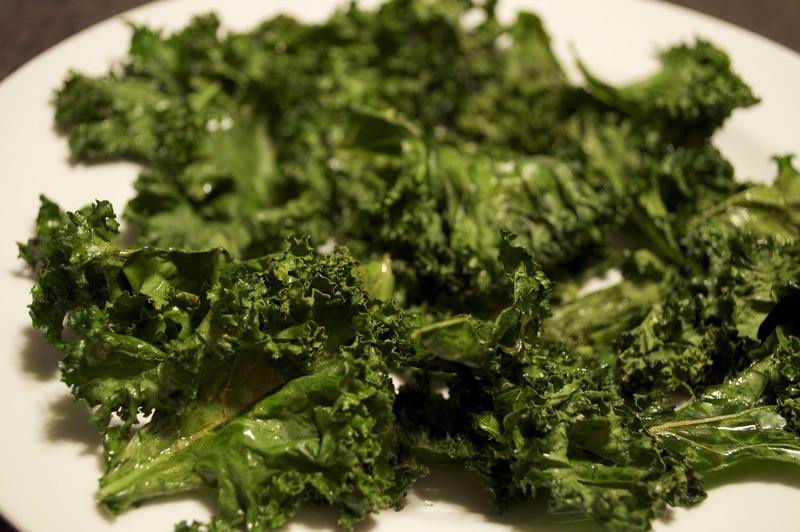 Have you made Kale chips before? I would love to her what you put on yours for flavors. Oooh, I keep hearing about these, thanks for posting! I may need to try them this weekend! Hope you're having a fabulous day pretty girl! So glad I finally tried them. Let me know what flavors you add to your kale! I've tried them and I hate them. I just have an aversion to kale. You are a pretty healthy eater for the most part I thought, except for all the sweets you tweet from the office!! haha I thought for sure you would like them!